The Intrepid 4×5 and 8×10 large format cameras are now sleeker and more sophisticated with the latest improvements. If you’re yet to get your own Intrepid large format camera, now would be a great time to contemplate your options. Intrepid Camera Co. has recently announced upgrades for both of their large format camera models. With this news comes the fourth generation of the 4×5 and the second for the 8×10, and the promise of improvements typically only seen in higher end cameras of its class. 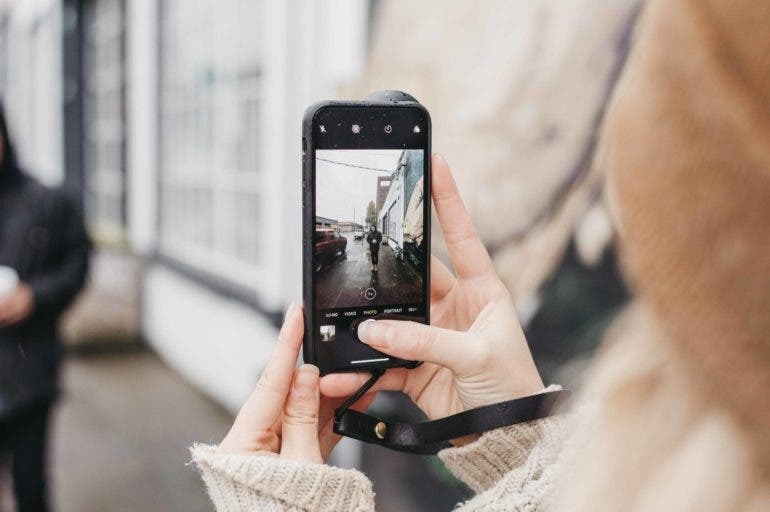 Capture One adds support for the Panasonic S1, S1R and more. If Fujifilm really want to see their market share grow they should collaborate with third party lens makers. 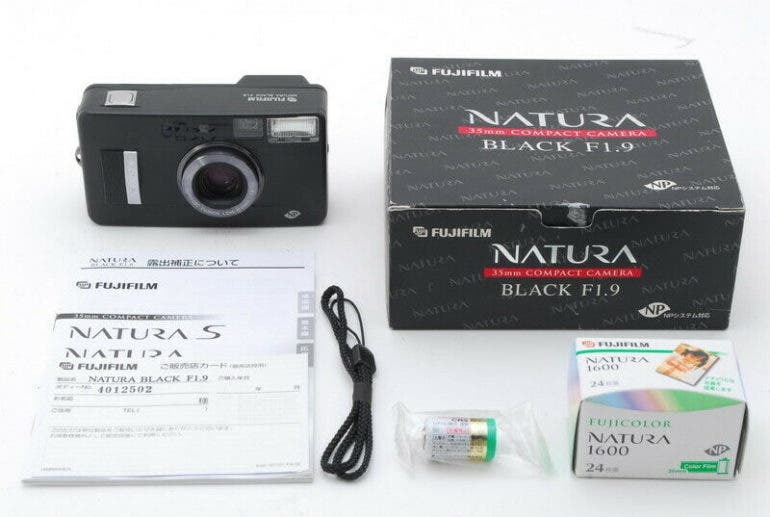 If you’re ready to empty your pockets for yet another coveted item, this Fujifilm Natura Black up for grabs should certainly be up your alley. Looking for yet another rare camera to shoot with and add to your growing collection? Today’s vintage find is definitely something that today’s generation of film photographers have on their cool camera checklist: a gorgeous Fujifilm Natura Black F1.9. One of the most impressive premium film point-and-shoots ever made, the main draw of this popular ultra-wide shooter is its f1.9 aperture. Seems like the folks behind the marred Yashica brand haven’t learned from their epic mistake yet. 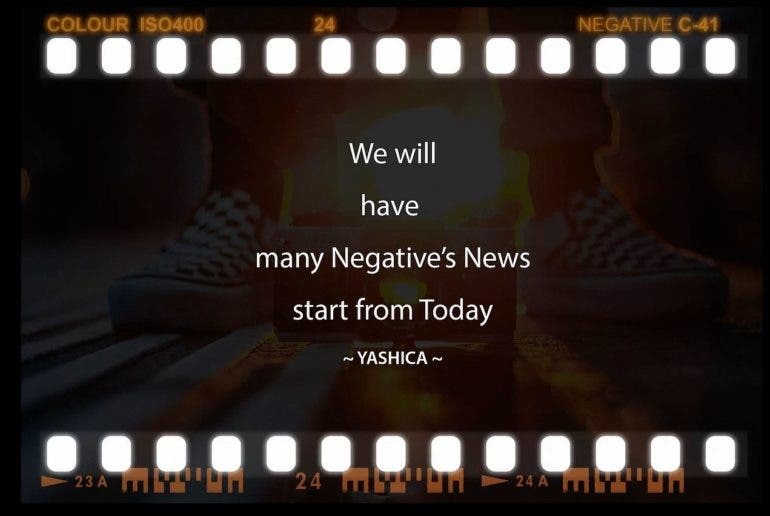 Despite the catastrophic mess that was the Yashica digiFilm Y35, it seems the company now at the helm of the brand have turned to its film roots instead. Everyone was hoping that it was just another (bad) April Fools’ joke. But since they kept posting teasers a few days after and have kept them all over the company’s website, Facebook, and Instagram, we’re all forced to take that they’re really seriously at work. Needless to say, most photographers aren’t happy about it. 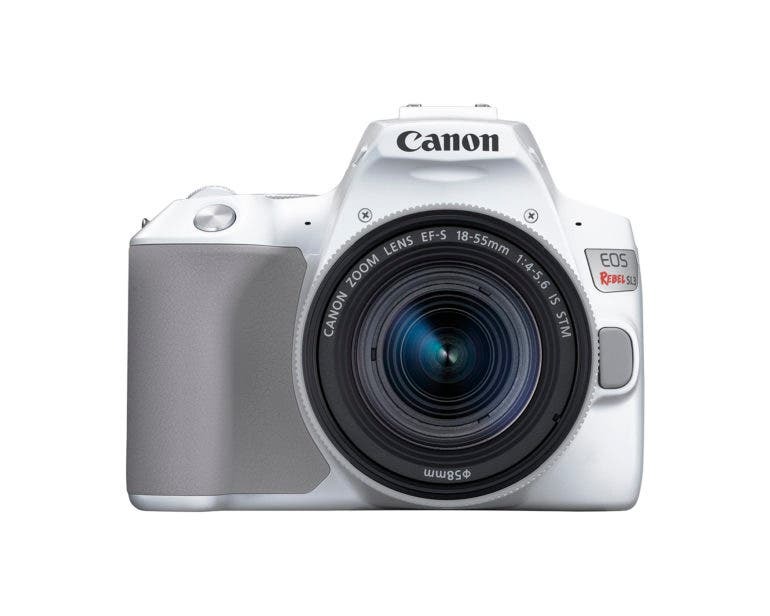 Also, the new Canon Rebel SL3 comes in a dope shade of white. 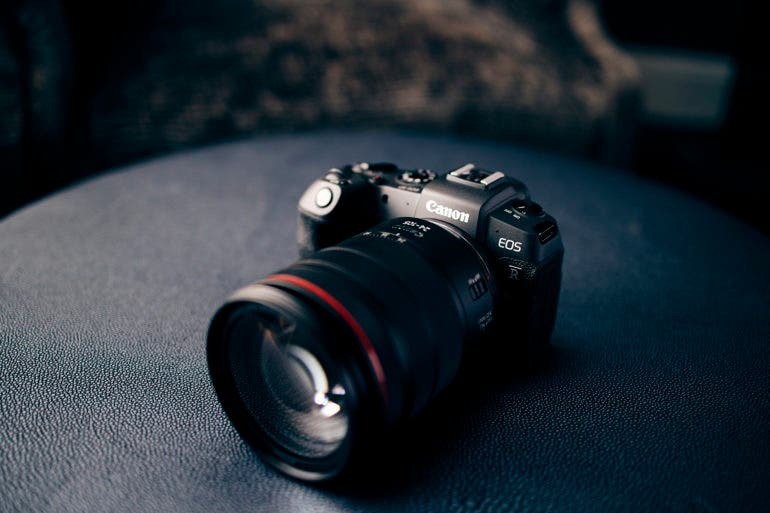 I’m not going to lie; the new Canon Rebel SL3 shares a whole lot in common with many of Canon’s other cameras–which ultimately means there is no real innovation. But it looks nice, and perhaps that’s what Canon is really trying to do at the $599.99, body only price point. In the spirit of making a quick buck, it boasts a whopping nine point autofocus system based on a camera from over 10 years ago. But again, it’s pretty in white. Another day, another sensor test; this time DXOMark has been putting the new Panasonic S1 through its paces. Does Social Media Really Mean the End of Traditional Photojournalism? Everyone can practice photojournalism these days thanks to the phone in their pocket and apps like Facebook. If you’ve been putting off refilling your stash of Fujifilm emulsions, believe us when we say now is the best time to stock up! Attention, film photographers! If your stash is missing some Fuji films, here’s your chance to snag some while they’re still at wallet-friendly prices. Yes, you’ve read that right. 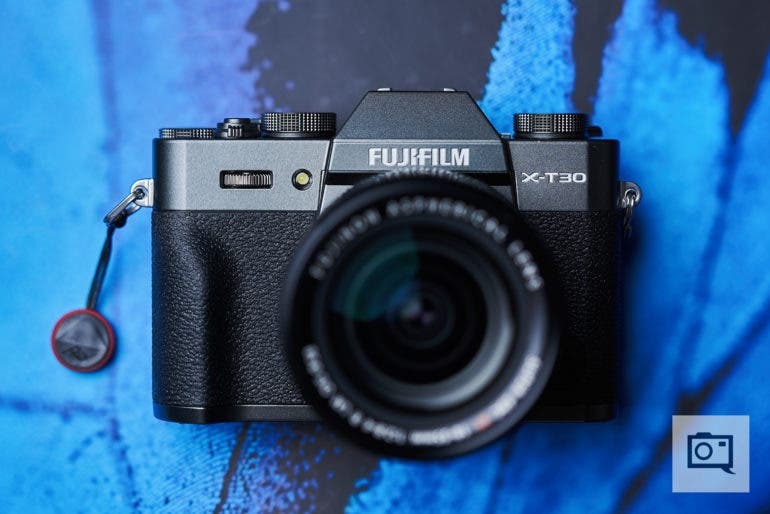 Fujifilm is set to raise the prices of its professional films in the US soon, so go get your fill before it happens. Attention, Pentax 67 users! We’ve spotted an item that you’re most likely missing in your lens collection. You’ve read that right — our latest vintage find is something especially for Pentax 67 users! Whether you’re thinking of expanding your lens arsenal for your iconic medium format SLR camera, or simply want to try a project that requires a fast super telephoto lens, this item is definitely worth checking out. 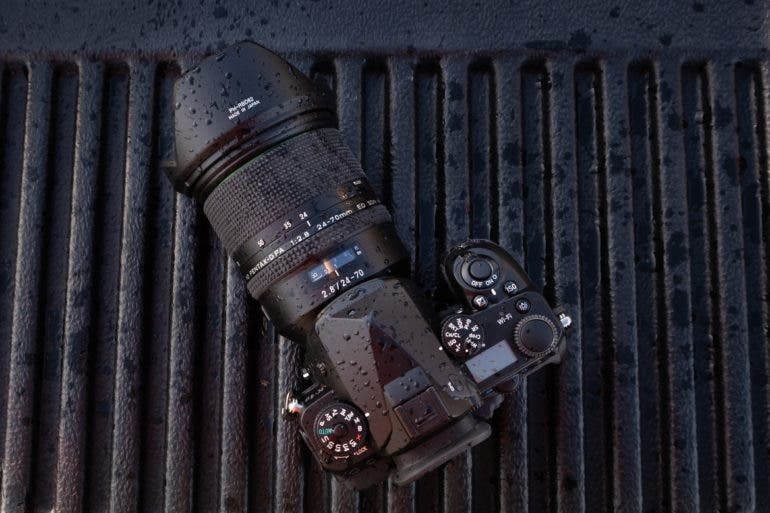 The Pentax K1, the Nikon D850, and the Sony A7r II are all weather sealed cameras; but do you get more for your money? If Canon starts listening to what the faithful want they could begin to win the fight against Sony in the Full Frame Camera wars. The Panasonic G95 is quite a powerful camera for its price point. With Mother’s Day being next month, the announcement of the new Panasonic G95 seems like quite an interesting announcement to release today. 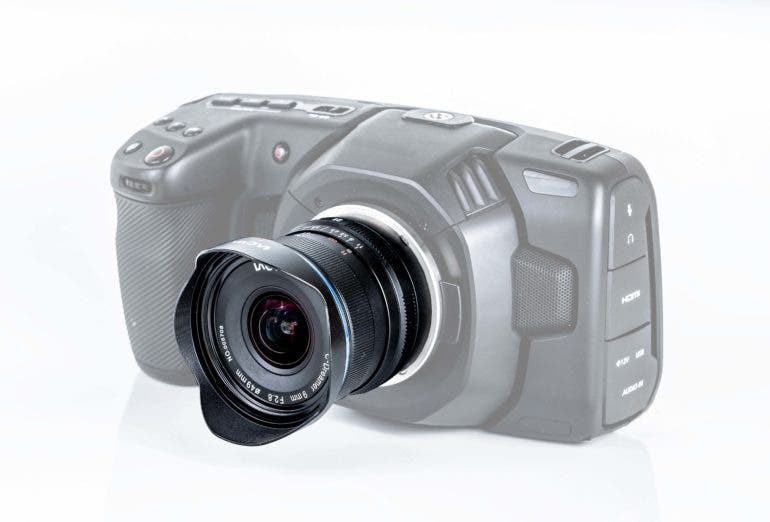 The new camera is boasting very efficient autofocusing abilities, a modest 20.3MP sensor, dual axis IS, 9fps shooting, and weather sealing. Honestly, this sound like everything that most people need in a package of around $1,200. That and they’ve got a new lens. See all the details after the jump. 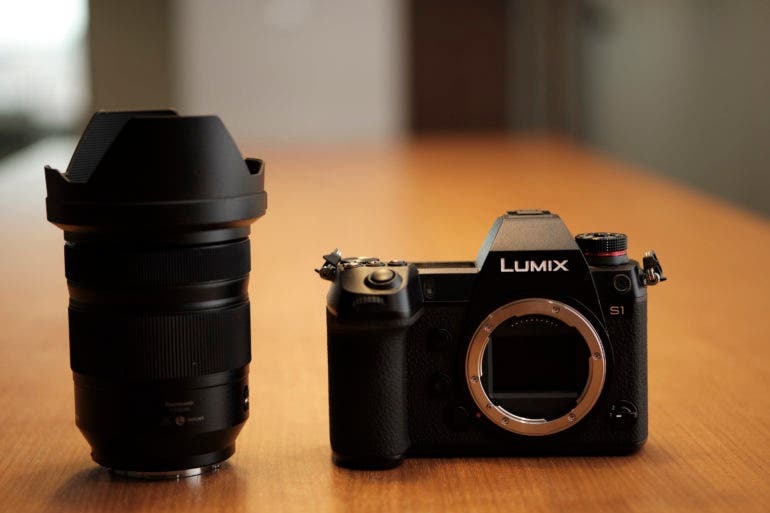 The newly released Micro Four Thirds version of the Laowa 9mm Zero-D lens is geared to be an ideal lens for both photo and video work. If you’re still looking for a distortion-free wide angle lens for both photo and video work with your Micro Four Thirds camera, Venus Optics comes forward with a solution. The lens manufacturer has just announced the M43 variant of the Laowa 9mm f2.8 Zero-D lens, which they are marketing as a perfect lens for video work. As with the Laowa 7.5mm f2 MFT, another wide-angle lens made available for the M43 system, this new lens sports an ultra-compact body and boasts of exceptional image quality. It also promises a more natural perspective for shooting videos using the Panasonic GH5 and Blackmagic Pocket Camera. Weighing only 210g (0.46 lbs) and measuring only 60mm (2.3 in) long, it’s designed to be compressed to be as minimal as possible in its class. 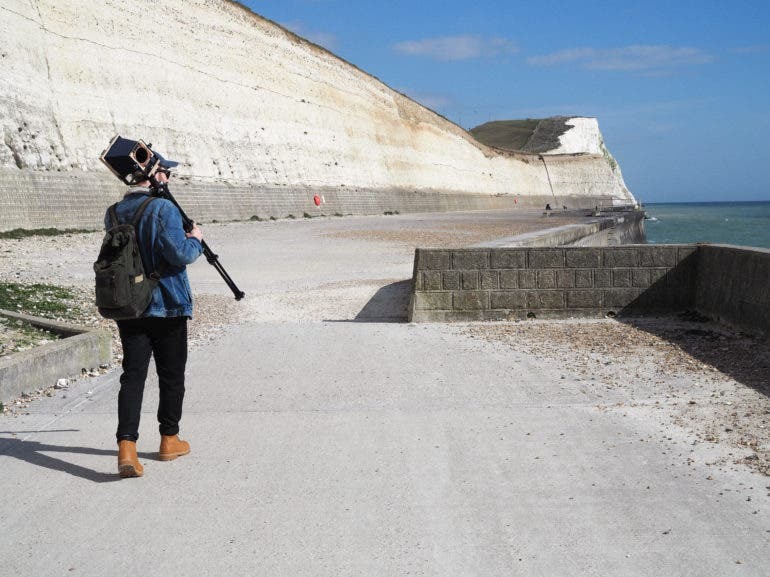 If you’re frequently shooting with gimbals, you might find the lightweight design and 100° angle of view especially handy. Skylum has just unveiled a brand new Luminar plugin that extends Luminar’s AI-powered features to your existing editing tool of choice. 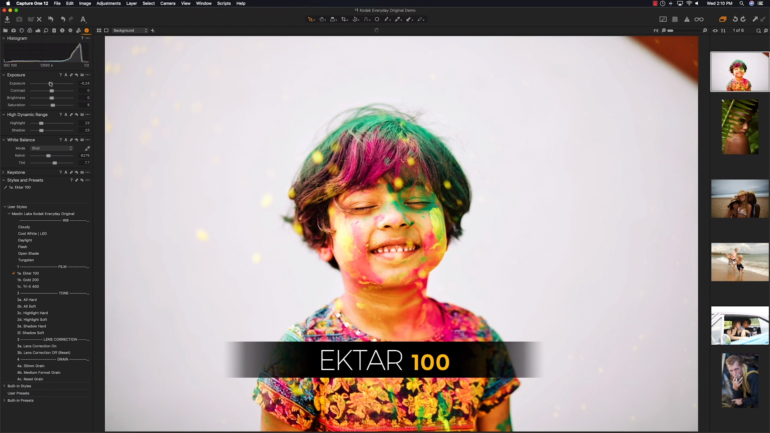 If you’re interested in trying out Luminar but are still stuck in the eternal sadness that is Adobe Lightroom Classic, Skylum has just announced a solution. Called Luminar Flex, it’s promising an extension of Luminar’s AI-powered technologies to your current workflow. But if you’re not using Lightroom, it can pair with Apple Photos and other options too (including Photoshop and Photoshop Elements). 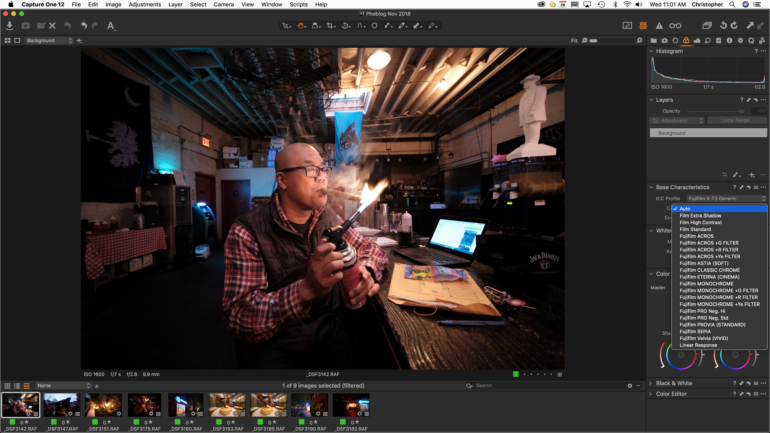 With it, you get to utilize powerful filters, editing options, and AI-powered technologies to step-up creative options and save time in post-processing work. 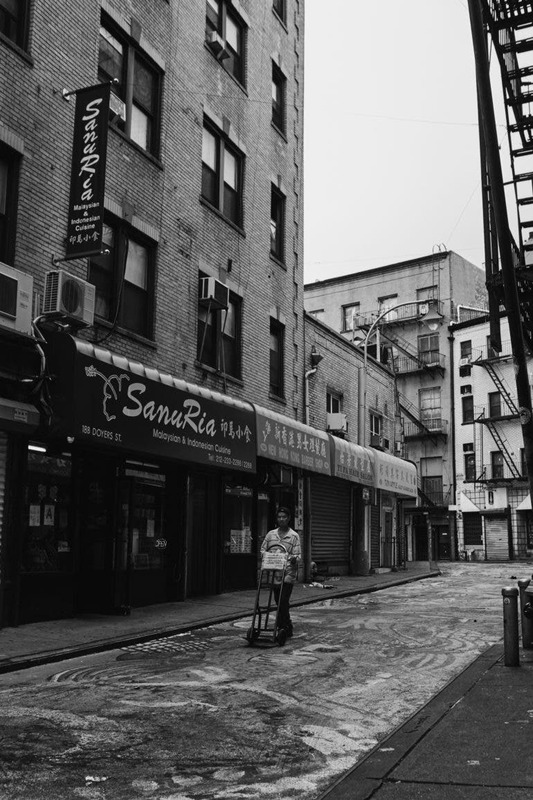 Kodak film lovers will love this new Capture One Style Pack from Mastin Labs. If you’ve been waiting for new features for the Exposure X4 by Alien Skin Software, you’ll be pleased to know that a major update now has that covered. Today, Alien Skin Software announced that the Exposure X4.5 update to their non-destructive RAW photo editor and organizer is now available. It’s been a while since we had a look at what the film-inspired, photo editing alternative offers. According to their announcement, the major feature from this update is the addition of LUT support to the Exposure X4. This now opens up more creative possibilities and tools, as users can now import LUT effects available online or produced by other photo and video applications to Exposure. 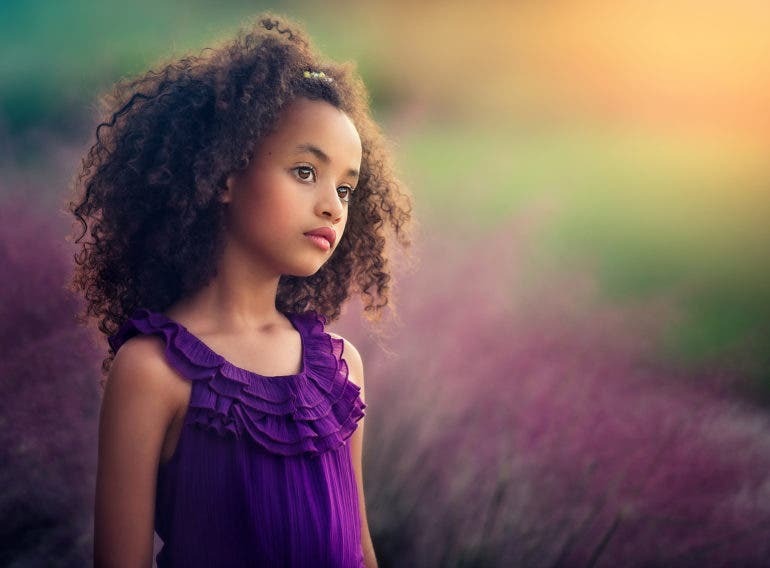 Photographers can make further adjustments to the effects and their results using the software’s advanced editing and layering tools. “Hey guys!” he started as he began to issue one of his biggest apology videos to his community. A famous Youtube photographer recently issued an apology to his hundreds of thousands of followers and viewers after video footage of him not shooting a RAW photo emerged onto the internet. The photographer, who shall remain nameless as he has recently deleted his channel out of shame, issued a long, heartfelt apology to the community who bought his t-shirts, tutorials, and remained his faithful acolytes until he was revealed to be a fraud. With the discontinuation of the Sony a99 II, Sony loses most of its ties to its ancestor: Minolta. 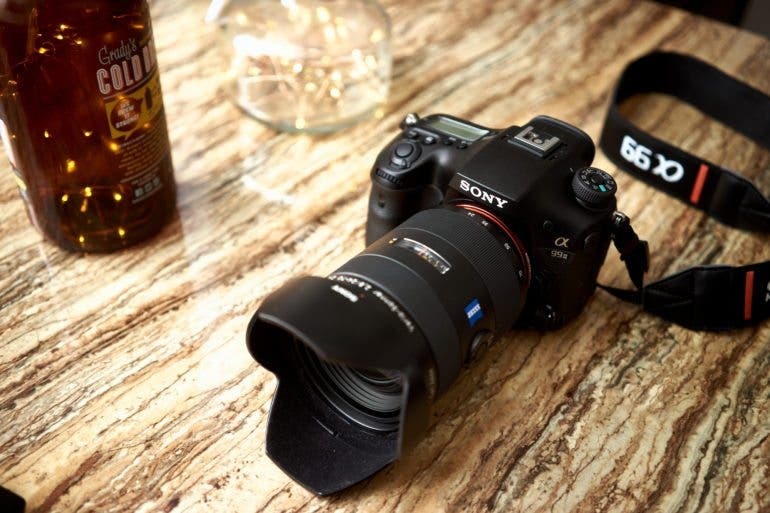 A major testament to the death of the DSLR was revealed today with Sony’s latest notice on the discontinuation of the Sony a99 II–the company’s last camera to be made with the Minolta A mount. Sony acquired the mount and lots of key Minolta technology after a purchase made over 10 years ago. And for years, journalists have been asking how much support will be given to the A mount. In fact, lots of us thought that it was dead and over with on the announcement of the Sony a9. The Sony a99 II isn’t really a DSLR as much as folks call it a DSLT, but the bigger news here is that Sony has no truly viable A mount cameras in their lineup currently. Kodak Portra 800 was the most true to the “analog look” film you could get your hands on, but it will be gone on April 15th. It’s time to pour one out for another film emulsions–though I have to say we all should have seen the discontinuation of Kodak Portra 800 coming. The film, which is marketed nowhere as well as Kodak Portra 160 and 400, was a truly special emulsion that I wish was just marketed in a better way; that could have ensured its survival. For those of you who always want that “analog look” in your digital photos by applying some fake filer by InstaVSCTin, Kodak Portra 800 had a secret sauce that really, truly did the job. 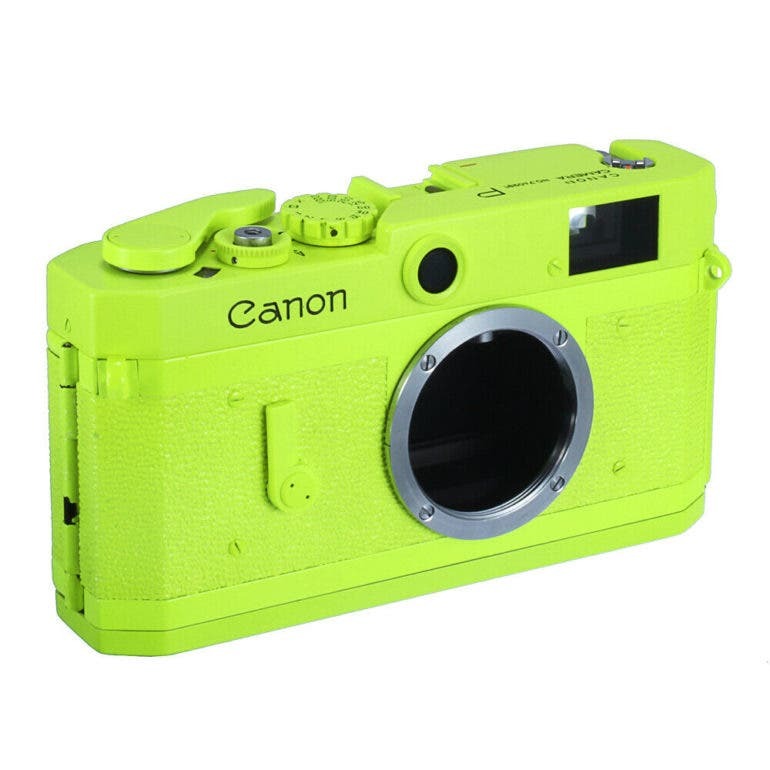 If vintage cameras in bright, questionable colors are your thing, be our guest and check out this fluorescent Canon P rangefinder. Classic cameras always look best in classy chrome or elegant black. If you agree, you may squirm a little in your seat with our latest vintage find: a gorgeous Canon P rangefinder camera that comes in a rather bright and arguable hue. But if you’re interested in it anyway, step right up and check out what we’ve found! The camera in question was listed by Taipei-based ebay seller shueido, who — surprise, surprise — brought us the cringe-worthy $2,099 red repainted Pentax 6×7. The item is described as a Canon P repainted in matte fluorescent yellow (more like shocking neon green, though, isn’t it?). If you don’t mind the dizzying color and want to still be able to whip it out and blind your subject shoot with it, you’ll be delighted to know it has been CLA’d. Shutter, flash sync, self-timer, and the rest of its functions are working properly. The double image also matches. The item is also rated as being in mint condition (disregarding the paint job then), and comes with a matching body cap and 90 day-warranty.